Sometimes a drinker’s opinion of a wine is anything but objective. Occasionally it is proudly, defiantly, unapologetically subjective, and it would be a tragedy for wine if it were never thus. There are a million reasons to be predisposed to liking a wine: meeting the producer, visiting the vineyard; having previously tried it on a meaningful occasion; it having been awarded 99+ points by your favourite wine critic, it being a favourite of your beloved great-god-uncle Seamus; a pretty label; coincidentally being giddily happy for another reason entirely at the moment someone pours it into your glass. Politics might be an unusual reason to like a wine, but it’s up there on the list of possibilities. In Champagne there are basically four kinds of producer: the small-scale grower, the larger owner-producer that hasn’t sold out to anyone yet, the enormous mega-firm, and the cooperative. However fabulous their products, I find it hard to emotionally connect with a brand owned by, say, LVMH, the global luxury goods conglomerate whose fizzy-wine portfolio includes Moët & Chandon, Dom Pérignon, Krug, Veuve Clicquot and Ruinart, and whose pockets are also stuffed with the likes of Chateau d’Yquem, Louis Vuitton, Givenchy, Bulgari and lots of other posh stuff. A wine lover’s feelings for Dom Perignon are like, say, a football fan’s feelings for Real Madrid: sure, they’re good, but they’re terribly hard to love. For the same reason, even though their fizz might not be in Krug’s class, I find it hard to dislike the small independents. But there’s something about the best cooperatives, about gifted growers coming together for their mutual benefit, that I really like. It happens a lot, especially in Europe, but it’s particularly pleasing to see this spirit of community shine in these most gilded vinous corridors. Some of these co-ops have grown to become extremely big businesses. 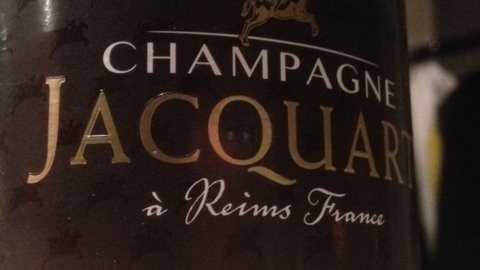 Nicolas Feuillatte is the world’s third most-consumed Champagne brand with around 10 million bottles produced each year, while Jacquart have grown from humble origins precisely 50 years ago to control 7% of the whole region, and shifted three million bottles of politically-correct fizz last year. I recently met Jacquart’s astonishingly young and impressive winemaker Floriane Eznack. There are many emotions I feel when I meet someone whose job it is to taste wine for a living – jealousy being by some way the most common – but here I discovered a new one: pity. For the first time I tried vins clairs, the still wines from which the Champagnes are blended, and I can only conclude that the role she performs is no less than alchemy. The stuff she starts off with is crazily acidic and astringent, wine that you couldn’t give away without the addition of a bit of sugar and a lot of bubbles. She seemed almost apologetic to be forcing them upon us, but it was a fascinating insight. It’s not hard to see why she has to see a dentist at least once every six months. Jacquart relies on 2,000 growers farming 2,400 hectares of vineyards, and from the sounds of things they exert limited control over them – much of the chardonnay in 2011, for example, was mishandled. “I think they were harvested too early,” Eznack said. “It’s hard to manage the growers.” Last year’s wines, she said, were “showing very weirdly” – “from one week to another they change”. Whether we caught them on a good week or a bad one, I’ve no idea. We tried four vins clairs, three of them from the 2011 vintage, and if you had pointed a gun at me and ordered me to assemble a base wine that would shift a million bottles, my only option would have been to blub like a baby and beg for mercy. From these unreliable, unpalatable base wines, all vinified individually, Eznack and her colleagues must decide which go in the top cuvees, which in the basic bottles, and which in the giant tank of reserve wine that will help to make the produce of future years sit with the house style. I’ve got frankly no idea how she does it. None. At all. Fortunately, you can’t buy any of the vins clairs, and the stuff in the shops has already had magic transformation dust sprinkled over it. If you do a bit of shopping around (wine-searcher is, as always, your friend) you can find Jacquart Champagnes at extremely decent prices – less than £20 for the basic Brut Mosaique, about £25 for the award-laden, lilac-scented rose, and under £40 for the very fine Brut de Nominee. Which is as good an excuse as you’ll find to fill your glass and raise a toast to the original Champagne socialists.